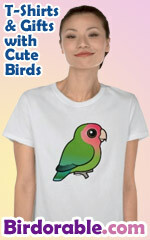 Here's a great original gift for anyone who birds. A spoof of highway info signs, 3 icons represent eat (knife/fork), sleep (person on bed) & bird (a bird hide or blind). A fine gift idea for birders!